The defense team for alleged WikiLeaks leaker Bradley Manning is seeking to show a massive leak of classified diplomatic documents is the military’s own fault since it repeatedly ignored warnings that the former Army intelligence analyst was emotionally unstable, and continued to let him have access to classified networks. That’s according to a redacted list of potential witnesses (.pdf) that Manning’s defense attorney, David E. Coombs, filed with the court last week and published on his blog over the weekend. The defense hopes to call the witnesses to a pre-trial hearing for Manning later this month, pending approval from the military court. The documents suggest that the defense’s case will also focus on the military’s lax security at Forward Operating Base Hammer, where Manning was stationed in Iraq beginning late 2009 up until his arrest in May 2010. That lax security allowed soldiers to regularly install unauthorized programs and files on classified systems in order to listen to music and play computer games, according to the defense filing. Manning is charged with 22 violations of military law for allegedly stealing records and transmitting defense information in violation of the Espionage Act, among other charges, which could get him up to life in prison if he’s convicted. In chat logs, Manning said he leaked the cables because he felt that the world needed to be aware of military activities that he believed were potentially illegal. The defense’s focus on witnesses who will testify to Manning’s mental health and the military’s lax security is likely an effort to mitigate any punishment Manning will face if convicted. Among the those who might be called to testify at the hearing is a psychologist who conducted an assessment of Bradley Manning on Dec. 24, 2009, just days after the soldier allegedly first made contact with WikiLeaks. The psychologist would testify, according to the defense, that he concluded at the time that Manning was under a considerable amount of stress and was potentially a danger to himself and others. The psychologist recommended that supervisors take Manning’s weapon from him or remove the bolt to disable the gun. Although the psychologist had the option to recommend revoking Manning’s access to classified material, he did not do so and is expected to testify that he does not remember why he did not make this recommendation. Adrian Lamo, the former hacker who turned Manning into authorities after the soldier allegedly confessed to him that he had stolen thousands of documents from classified networks and leaked them to WikiLeaks. The list of witnesses also includes President Barack Obama — supposedly included to determine if remarks Obama made about Manning’s guilt represents undue influence on a military court from the commander-in-chief. Secretary of State Hilary Clinton is also being sought to testify to the lack of actual harm caused to national security by the leak of nearly 260,000 U.S. State Department cables. Coombs notes in his filing that several of the witnesses have refused to be interviewed by him prior to the Article 32 hearing. The Article 32 hearing, to be held at Fort Meade in Maryland beginning Dec. 16, is expected to last five days. The hearing is a military procedure similar to a grand jury hearing, whereby prosecutors will lay out their evidence before a judge who will determine if the case is sufficiently strong for the young private to be court-martialed. During the hearing, both prosecution and defense are allowed to call witnesses for questioning and cross-examination. 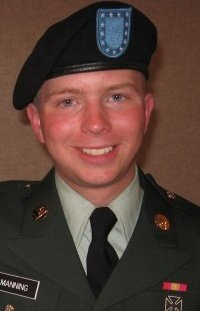 Coombs told CNN in September of 2010 that the Army had removed the bolt from Manning’s weapon due to concerns about his mental health, but details of the evaluation that prompted this were unknown until now. According to the witness list, a psychologist, whose name is blacked out in the document, conducted a behavioral-health assessment of Manning on Dec. 24, 2009. Manning allegedly said in chat logs — first revealed by Wired.com — that he made contact with WikiLeaks shortly after Thanksgiving in 2009, after the secret-spilling site published 570,000 pager messages from the time of the Sept. 11, 2001 terrorist attacks in the United States. The psychologist is expected to testify that Manning didn’t appear to have any social support system and seemed hypersensitive to criticism. The psychologist recommended that Manning be moved from the night shift to the day shift and be given lesser duties. He also determined that Manning should be given “low-intensity duty” for the immediate future, in addition to having his weapon disabled. He or another mental-health expert subsequently treated Manning on numerous occasions between Dec. 30, 2009 and May 26, 2010 and determined that Manning needed long-term psychotherapy. In May 2010, shortly before Manning’s arrest, a psychiatrist determined again that Manning was at risk to himself and others and recommended that he not have an operable weapon. The psychiatrist is expected to testify that on May 22, he considered making a recommendation as to Manning’s access to classified information, but did not do so because Manning had by then already been demoted and moved out of the secure computer room where classified data is accessed. According to chat logs between Manning and former hacker Adrian Lamo, Manning had been demoted after hitting a fellow soldier in the face and had been re-assigned to work in a supply annex. The psychiatrist finally recommended on May 28 that Manning’s clearance be revoked, according to the defense filing. By then, however, Manning was already under investigation for leaking information to WikiLeaks, after Lamo reported him to authorities. The document reveals that some Army witnesses are expected to testify that personnel regularly put unauthorized media on computers, such as programs, games, videos, and music and that it was fairly common to see games, music and movies on the classified Secret Internet Protocol Router Network (SIPRNet). But at no point were personnel punished for placing unauthorized files on SIPRNet, witnesses are expected to testify. According to an information assurance security officer on the witness list, he tried to complain about the practice, but nothing was done. In one instance he found that a soldier had placed 500 gigabytes of information on his SIPRNet computer, but no action was taken to halt the practice. The information is relevant to the case because Manning allegedly confessed to Adrian Lamo that he inserted a CD-ROM labeled as Lady Gaga music into his SIPRNet computer and copied thousands of documents from the network on to it, which he subsequently leaked to WikiLeaks. He is also charged with uploading unauthorized programs to the classified network. Another soldier would testify about a report that Manning encountered that described some “Iraqis or possibly some Moroccans” who were being arrested at a printing press facility. Manning was “very upset about the issue” after discovering that they may have been arrested for producing pamphlets that questioned whether Iraqi authorities were embezzling public funds. “He will testify that if there was a moment in which Pfc. Manning may have snapped, this would have been it,” Coombs writes in the document. According to the witness, when Manning tried to call attention to the document, his superiors stonewalled him. That account is corroborated by the chat logs between Manning and Lamo, in which Manning allegedly told Lamo that it was this incident that changed his mind about the military and appeared to be the catalyst for his decision to start leaking information. “I had always questioned the things worked, and investigated to find the truth … but that was a point where i was a *part* of something … I was actively involved in something that i was completely against,” he allegedly wrote Lamo.